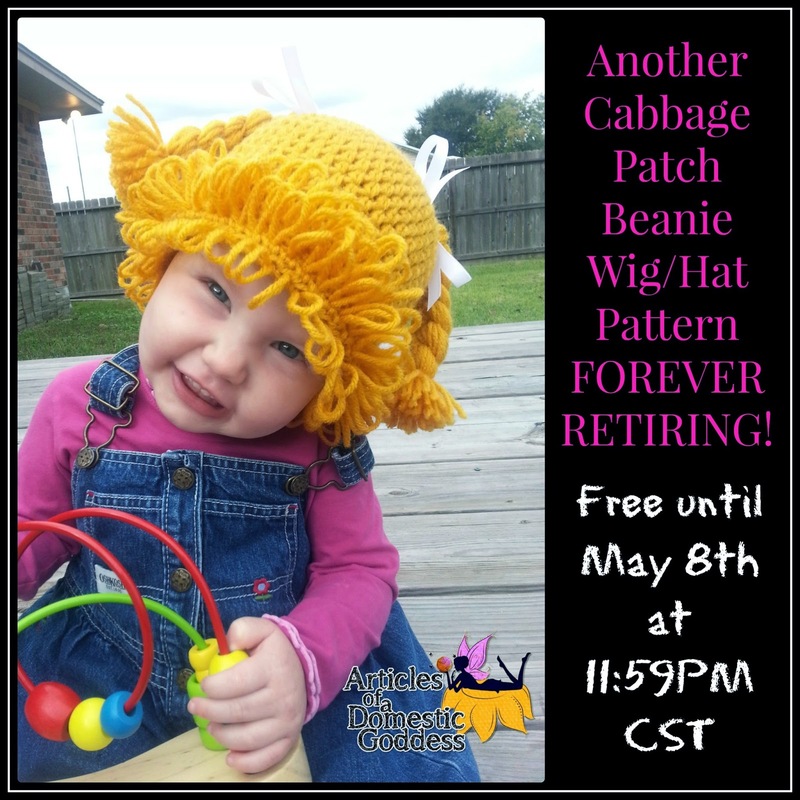 Another Cabbage Patch Beanie Wig/Hat Pattern is RETIRING FOREVER! It’s been real, but I have to watch you go! my only pattern that I’ve ever offered that was fashioned after a trademarked character. I have dug my nails in on this one and held on as long as I could, but alas, it is time to say my goodbyes to this one! I will never again be offering this pattern. In other words, my relationship with trademarked characters has finally, completely come to an end. for your continued and never ending support! May 8th at 11:59PM CST in case this freebie isn’t enough! « Wings of Spring Headband and Shrug Pattern Releases! Nb-3X!